Sometimes its like Christmas around here! When a new breed starts to lay and you start to find those small, adorable pullet eggs, it is just so exciting! Okay, maybe some of you want a more lavish gift under your tree, but for me, this is what keeps me lugging buckets of water and sacks of feed. 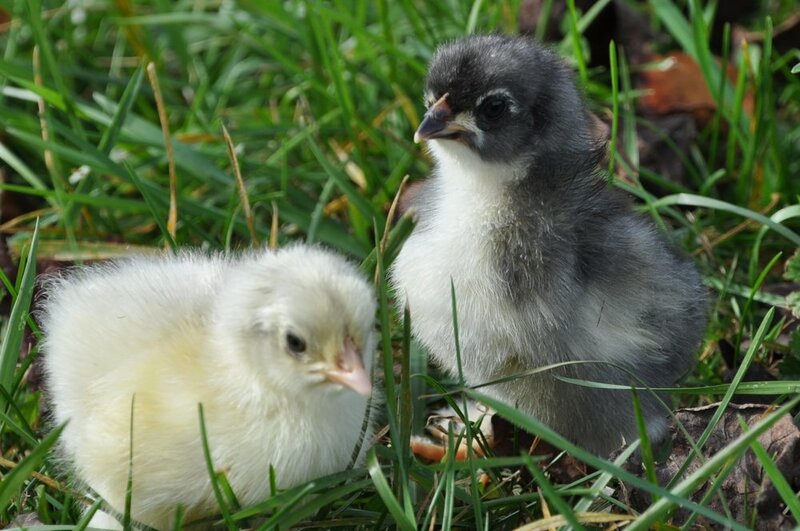 5 or 6 months of nurturing a new set of chicks, watching to see which are your keepers. Learning their new behaviors, because every breed is a bit unique. Watching as the roosters learn to crow- quite and comical at first, then full and strong after only a few weeks. The hens develop their feathers and start to look the right part for the breed. Finally, after checking the nest box for what seems like forever, there it IS! That first lovely egg. Unfortunately, patience has to win out for a while longer. Those first eggs are small and chicks hatched from pullet eggs can be weak. We wait until the size increases and the birds appear fully mature before we start to set the eggs to hatch. For the Blue Birchen Marans, Lavender Marans, and the Double Silver Laced Barnevelders, that time is quickly approaching.